With Barbra Streisand may be considered to be one of the greatest female vocalists of modern times, masterfully commanding her voice as an instrument, it maybe far from a surprise Fascinating Aida’s, Liza Pulman is encouraging to ‘Sing Streisand’, in celebration of World Voice Day 2019. Gifting with her own version of Streisand’s ‘You Don’t Bring Me Flowers’, in a video specially created for the day: alongside her limited edition run of ‘Liza Pulman Sings Streisand’ shows at The Lyric Theatre, in London’s West End. Whether one has a cheery ‘Happy Days Are Here Again’ personality or a reflective ‘The Way We Were’ romantic, Liza Pulman urges all to join her to ‘Sing Streisand’ and turn voices into instruments for World Voice Day. Wherever on World Voice Day, choose a favourite Streisand song and sing! “You Don’t Bring Me Flowers, is one of the world’s most heart-breaking songs, from one of the world’s most heart-warming voices – I just had to bring this to you all, to share the power of the human voice with everyone on World Voice Day,” smiles Liza. “I grew up listening to Streisand and some have said my voice reminds them of hers. For my ‘Liza Pulman Sings Streisand’ show, I wanted to investigate how it was Streisand had somehow seeped her way into my vocal DNA. She’s such an inspiration; her breath control and technique and the way she uses her voice as an instrument, using sound to break our hearts. 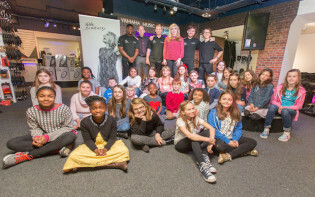 I’m sure we all have our own vocal instruments and I know we all have our favourite Barbra Streisand song so this is why I want everyone to stand up and ‘Sing Streisand’ for World Voice Day,” explains Pulman. 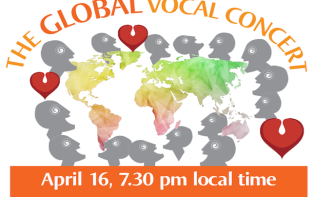 How about celebrating World Voice Day with Liza Pulman on the live stage? 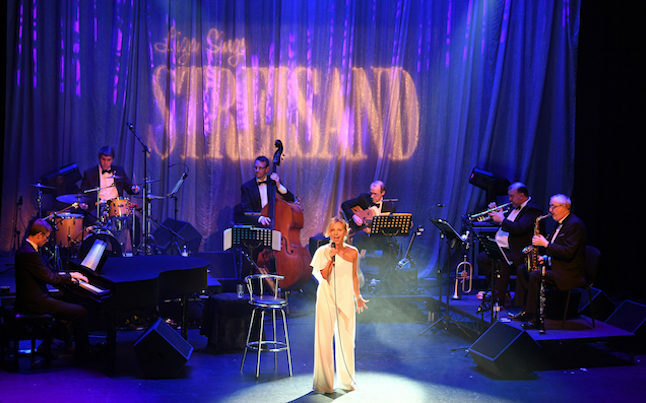 Pop along to The Lyric Theatre, for Liza’s ‘Sings Streisand’ show – a landmark production in Pulman’s career, which sees Liza step from the comfort of the Fascinating Aida trio, into a limelight of her own. A solo star is born as Liza holds audiences in the palm of her hand, guiding them through a journey which, aims to leave fans transfixed, hanging on her every note. Liza’s version of ‘Memories’ maybe be moments everyone on this planet needs to experience. There are many joys in this world, hearing Liza Pulman sing Streisand may definitely one of the greatest. I become a pop star!